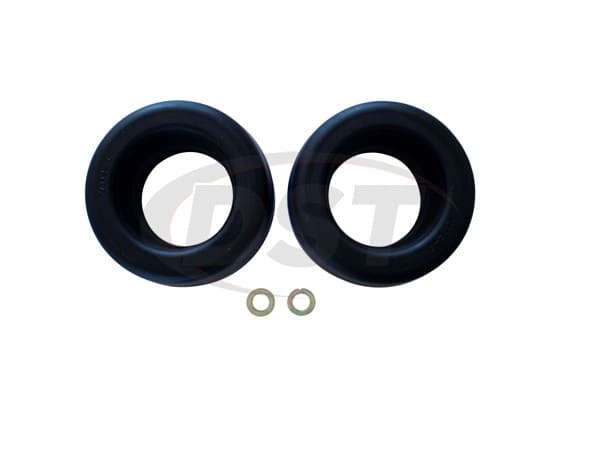 Performance Accessories FL220PA front coil spring leveling kit raises the vehicle 2-inches, by utilizing the companys high-quality urethane, allowing the vehicle to run up to a 33-inch diameter tire. This system can be installed in 2 hours and comes complete with everything necessary for installation. What size tires can I use if I install the pafl220pa? The pafl220pa will allow up to a 33 inch in diameter tire. Does part number pafl220pa actually provide a 2 inch lift or is that just the size of the spacer? Yes, part number pafl220pa will provide a 2 inch lift.